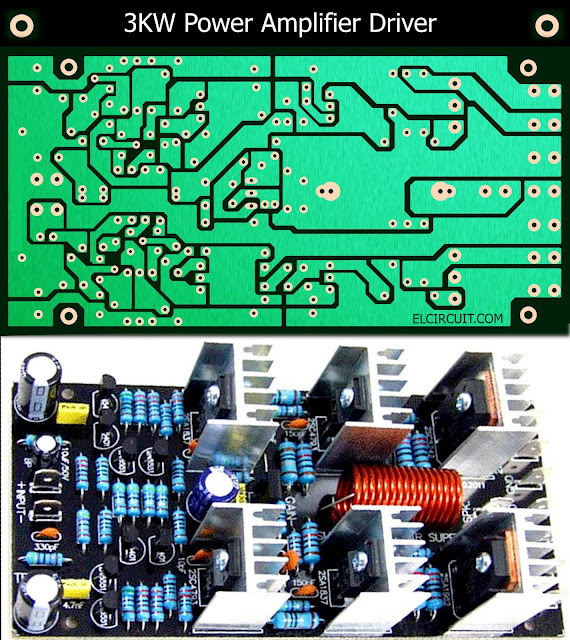 3kW or 3000 Watts power amplifie , in this article just share about the driver circuit PCB. For transistor booster / final transistor using 8 set SANKEN 2SC2922 and 2SA1216, wiring booster transistor see here : Booster / Final Transistor Amplifier. 3kW Power Amplifier is needed voltage supply about 90VDC-110VDC. Sorry i dont share this schematic circuit because it for sale. With this circuit 3000w is not possible. it just driver circuit ,, you need more transistor final. I would like to buy 20 sets if the price is right. you can contact me , please visit the contact us page. Please contact me for the price of the power amplifier. PLease see at the contact us page. Hi, this is Revocatus from Tanzania I need 2pcs of this finished driver (https://www.elcircuit.com/2016/10/3kw-power-amplifier-driver-circuit-pcb.html) so what is the price par piece plus shipping cost to Tanzania?. Thank you, please reply in time. how to order the pcb 3kw?